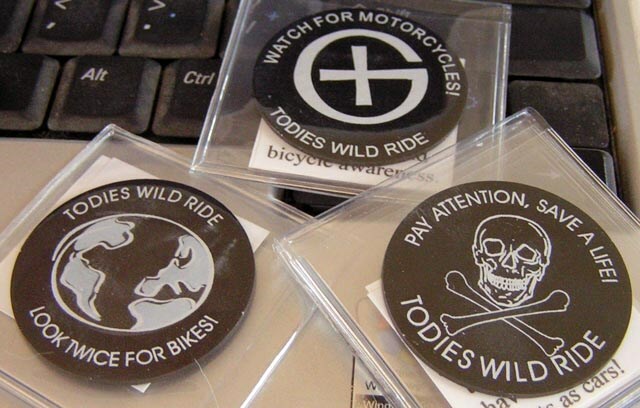 (TB30DPF) GeoCoins.net Trackable Token Geocoin - Todie's Wild Ride II: Drive smart! Todie's Wild Ride II: Drive smart! Use TB30DPF to reference this item. Gallery Images related to Todie's Wild Ride II: Drive smart! Shows up after 2-1/2 years and then gets marked missing. Wonder if it ever made it there. Nice to see this return to circulation. We were the first to start it on its travels when sunsetmeadowlark mailed it to us. Good to see it moving again. Found this a long time ago, just started caching again. Dropping it off today. Found this one on a girls only, last day of summer cache trip with rjairdoc. Will get it moving again soon!